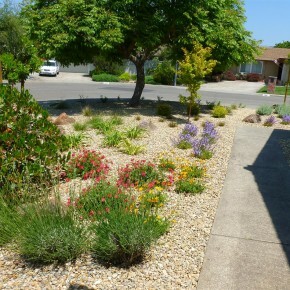 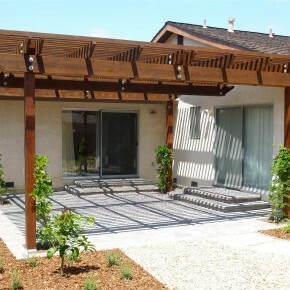 This large corner lot in Petaluma needed a complete makeover in the front and back. 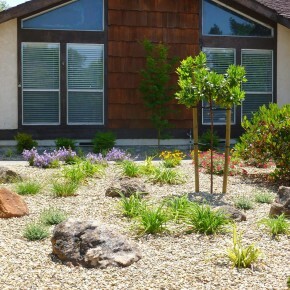 Colorful low maintenance plantings, accent boulders and gravel mulch were installed to give a new character to the front yard. 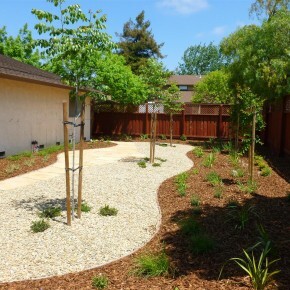 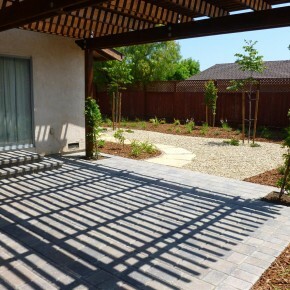 While in the back yard a new shade arbor, paver patio, flagstone pathway and matching plantings, and gravel mulch were installed to complete the landscape.